National Volunteer Week – THANK YOU! This is National Volunteer Week in Canada. 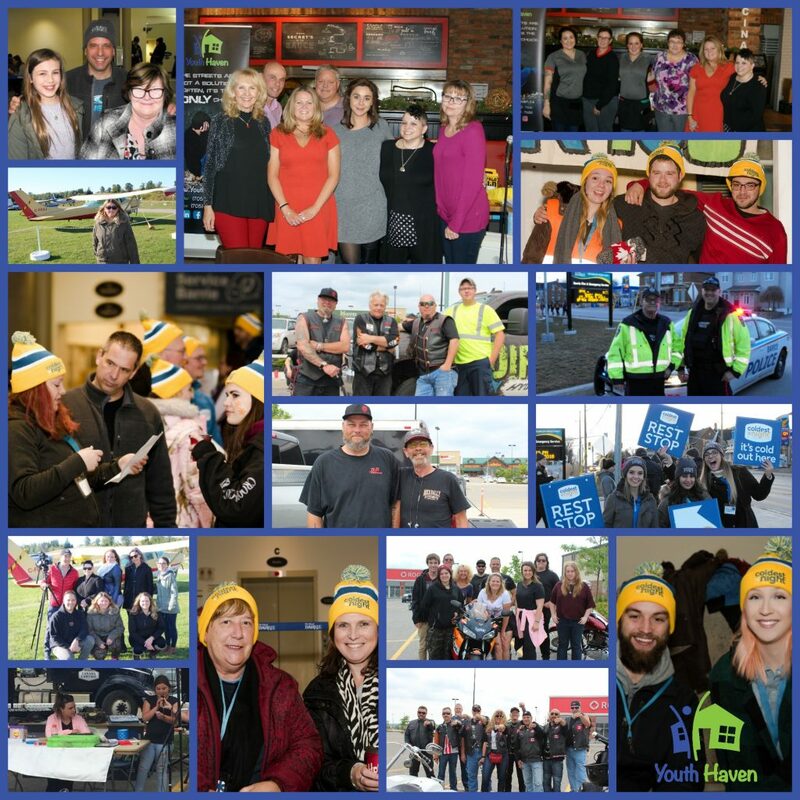 On behalf of our community, our staff, and the youth in need who we serve, we want to thank the many amazing volunteers who are critical in ensuring that Youth Haven achieves our vision of supporting youth experiencing homelessness by providing safe shelter, programs and services, in an atmosphere of respect and dignity. We don’t have photos of every single incredible person who helps us out, but here are some of the awesome folks who have volunteered their time to Youth Haven. How awesome would your smile look in that photo next year? As a way of thanking the folks who have helped Youth Haven, why not become one of our volunteers yourself? Do you have a love of cooking, and want to share your talents while meeting new people and giving back to the community? We are looking for interested individuals or groups to visit our home and prepare a delicious and nutritious meal for our young guests. We ask that volunteers provide the ingredients they will be using to cook, and Youth Haven will provide everything else, including hungry diners! Yes, you heard that right! We are looking for volunteers who enjoy shopping to help collect food and items that our kids need during, and after their stay with us. It can also provide volunteers with an opportunity to spend time with a youth and teach them about budgeting and looking for great deals! Are you good with a hammer? Do you enjoy straight lines? Are you known as a handyman or handywoman? Then join our team to keep Youth Haven’s home beautiful and safe! It’s not always easy to keep the house in order with up to 20 youths living at Youth haven at a time. So we like to roll up our sleeves and engage with our young guests to paint, clean, and do small projects that upgrade and maintain our home. We have teamed up with the Barrie Bingo Sponsors Association to raise funds for Youth Haven! The role involves helping Bingo players maximize their experience by picking up used bingo sheets, food and beverage containers, and other items to discard them appropriately. Volunteers also provide basic assistance to players and staff, and help tidy up at the end of the shift. There are two volunteers per shift. Day and time: Our shift takes place every second Tuesday between 8-10pm. Becoming a Youth Haven Volunteer is simple – just fill out our form!